A new technique based on well-established scientific principles that gives you moisture analysis results to use in making decisions in your Risk Management for handling, packing and shipping materials. 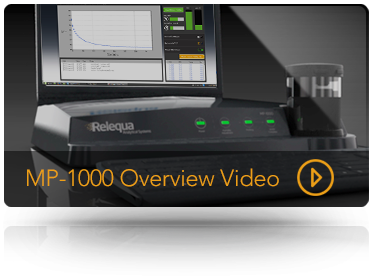 Relequa’s new MP-1000 Moisture Profiling™ system has been specifically designed around newly discovered parameters in moisture sorption, such as starting humidity and mass of material, giving repeatable, logged results for analysis. Modern pharmaceutical manufacture is worldwide. Millions of tons of product valued at billions of dollars are constantly shipped from the manufacturing site to distribution networks. Moisture in transport is a risk to the quality of the product delivered to the patient. Our methodology ensures that repeatability of moisture profiles gives equilibrium point results with low standard deviations. 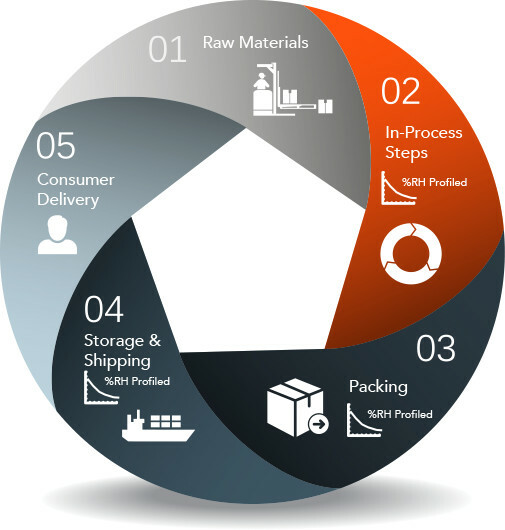 This gives assurances that Moisture Profiling™ in point to point analysis of product, from the manufacturing process to shipping, saves the industry invaluable time and money. There are many risks to the quality of products during manufacture. Risk is always present where products are manufactured at sites in environments quite different from the conditions from the site of product development, or when an established manufacturing process is moved to another country. Fluctuations in humidity caused by seasonal variation or climate change is a risk to products from raw material storage and handling through the manufacturing process and into the packing area. Extreme weather is a particular risk during shipments. This risk in manufacture can be reduced by using Moisture Profiling™ to gain a deeper understanding of the key factors that drive moisture interaction of your materials.